“Simple and low-price” backup application for SharePoint Online user. Tool that backs up data stored in SharePoint and OneDrive for Business file-by-file to local storage. 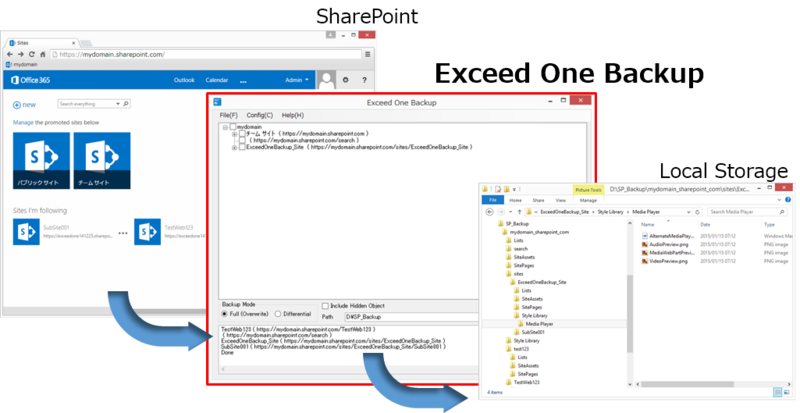 Tool that enables flexible SharePoint data backup such as backing up SharePoint content to a file server, storing data externally, and backing up OneDrive content. 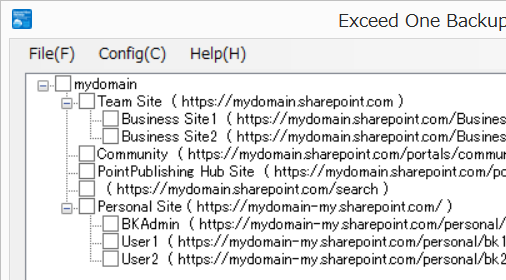 ①Back up automatically the SharePoint Online data on a regular. List data is saved in XML-format. It will back up automatically all the sites that exist. You can either reduce the load of backup operation. ②Back up files other than the document library. You can save all data on designated site. Also, you can back up attachments in bulk. You can back up files that employees were stored in OneDrive. ④Back up the specified site. You can back up by selecting the site. It does not back up in a special archive format. For this reason you is easy to restore the file you want to restore. ⑥Organize files in the SharePoint site. Local path to save is created with the same structure as the site-URL. Therefore, it is easy to understand the location where the file is stored. ⑦Using reasonable backup, because using reasonable “Office 365″. Exceed One Backup specialized functionality to the backup. For this reason it became a simple and low-cost application. – SharePoint Online (Office 365) *Requires Office365-plan that SharePoint admin center can use.